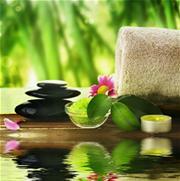 This program combines traditional Balinese massage with massage of the “third eye” Shirodhara. The procedure helps to normalize the psycho – physical balance, has a relaxing and calming effect. Shown with the problems caused by emotional hyperactivity, and chronic fatigue syndrome. Relieves headaches, migraines, stress, dizziness, cramps, and neuralgia. Special oil massage with essential oils – the perfect complement to all programs, as very effectively treats the weak, sick hair effectively treats all types of hair loss. Healthy hair is the same after such a procedure acquire an amazing shine, strength and flexibility. Duration: 2 hours Cost: 2150 UAH.